I went to a party at Trevor Baylis’ house on Eel Pie Island in Twickenham in the 90’s. It was a party to remember; everything about Trevor, his workshop, his house, his friends, his inventions and his love of life and of people made him a very special man. We had gone down to Twickenham to meet up with some friends from college and one of them, Stevie Tatham, helped out in the pub on the river next to Eel Pie Island, flipping burgers at their barbeques. Steve knew everyone and was always ready to party. It turned out that there was a party at Trevor’s that evening and we could all go! What, how come we can go? Anyone can go to Trevor’s parties, you just have to hand over a tinny at the door! Really, imagine throwing your doors open to anyone and everyone; but that’s what he did. 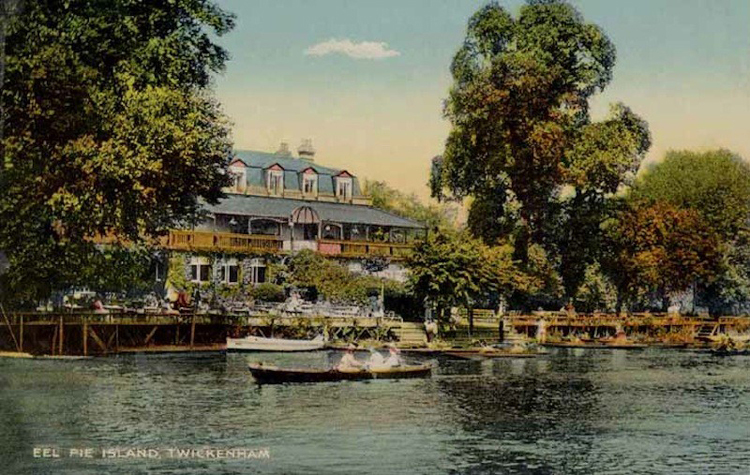 The Eel Pie Island Hotel in its heyday. Eel Pie Island sounds bohemian and it really is. There are a few houses, but not that many proper houses. There’s no road to Eel Pie Island, just a footbridge, probably about 2ft 6” wide. And that was it, every brick and bag of cement had to be brought over that bridge and everything that needed to be disposed of had to come off by that bridge. If you’ve ever done any building work, imagine doing it without a skip; not easy. Consequently a lot of the houses were more like shacks or cabins. One cabin/cottage had the most bizarre garden; hundreds of baby dolls, none with clothes, many with missing limbs or heads or eyes standing silently under trees and bushes, in groups, all staring at you. It sounds creepy just writing it, but when we arrived at night and wandered down this little lane and suddenly came across all those ghostly faces, whoa, that sticks in your mind. We visited the island in the day as well and there were a lot of artists there. 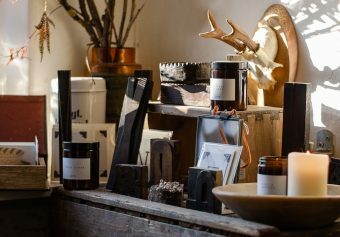 An old boatyard was used for a dozen studios of up and coming artists and ceramicists. The main boat house, the size of a warehouse was burnt out and apparently many artists used to sleep up there in the rafters, but since the fire and some fatalities the council had started to enforce some law and order. Eel Pie Islanders aren’t used to normal law and order. They would declare their own principality if they could. Eel Pie Island has a fascinating history. It used to have a hotel on it where the most alternative up and coming artists would perform when they were complete unknowns. The Rolling Stones and David Bowie played some of their first gigs there. 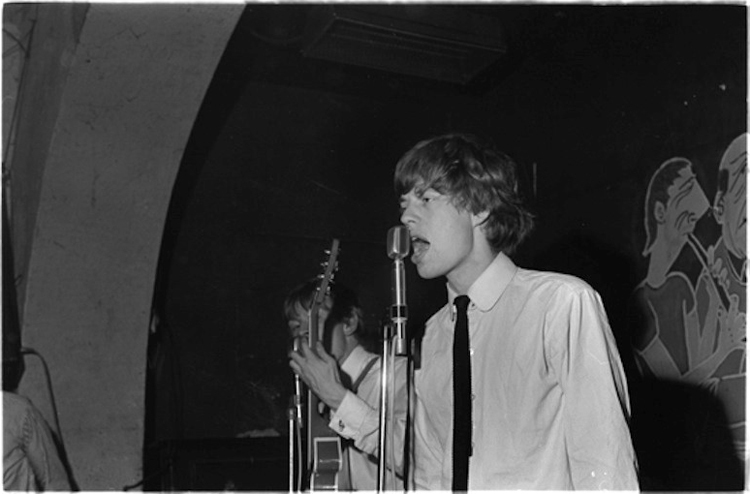 Mick Jagger playing at the island hotel with his unknown band in 1963. 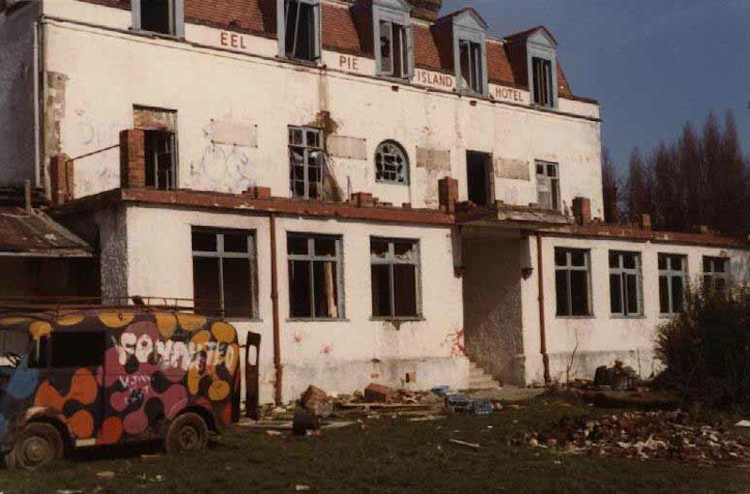 The abandoned Eel Pie Island Hotel. 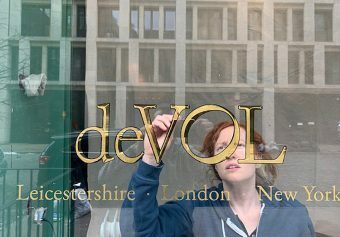 Unfortunately the hotel needed a lot of refurbishments that it couldn’t afford and so it was left vacant. After no time at all it was occupied by anarchists and in the 70’s Eel Pie Island homed the largest hippy comune in the UK. So, with all that history, it’s hardly surprising that the residents and their parties were kind of unique. We arrived at Trevor’s house around 9 O’clock and true to form a large chap took a can or a bottle from us at the door and the first room you found yourself in was Trevor’s studio. There were wall to wall workbenches with various vices attached, most with some part of something clamped into it. The benches were full of bits off the inside of some appliance or other. It looked like Trevor was working on every idea that was spinning round his head, all of them, at the same time. 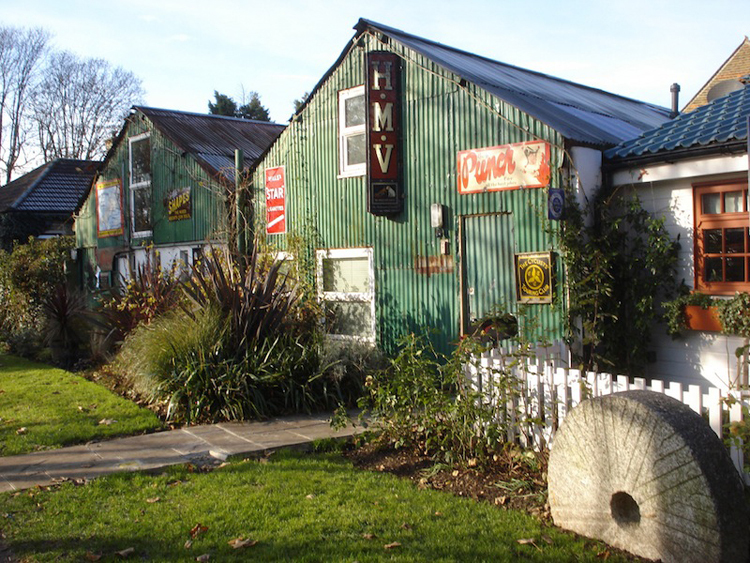 Some of the sheds and studios on Eel Pie Island. Of course I knew of Trevor Baylis long before this night; he was an old school inventor and I was a young and passionate industrial designer. It was great to see an inventor have a really great idea, be on the telly, meet Nelson Mandela. He showed us that great ideas can still win through and corporates can’t hold them back. Back to the party….. Through the workshop and into the next room. Ah, that’s unexpected, naked people swimming! 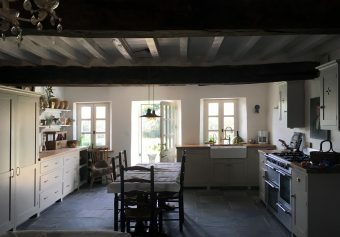 Trevor had removed the suspended floor from his front room and exposed the cellar and concreted the sides, leaving a walkway through to the next room and a glass walled staircase running up to the upstairs. I couldn’t tell you if there were 3 or 4 swimmers and I couldn’t tell you if they were men or ladies. They were all mostly underwater, all had long hair and I didn’t want to stand and gawp. It’s funny how finding yourself in an unusual situation you instantly act as if this is normal to you, so you don’t look out of place; so you walk on without a second glance. The next room was filled with a haze of weed and lots of aging hippies whirling in kaftans, listening to some Donovan or Jethro Tull on an old gramophone. 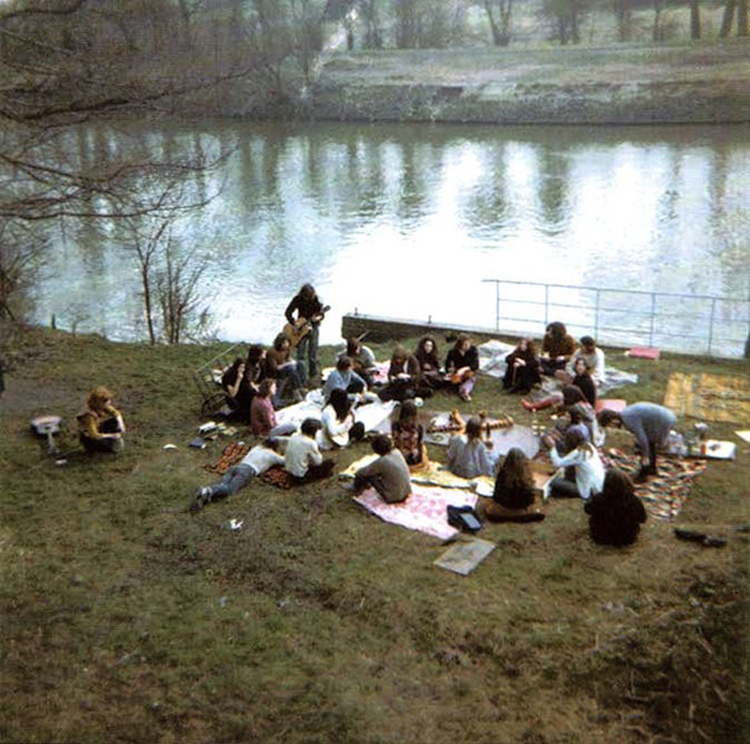 A hippie gathering on the banks of Eel Pie Island, 1970. We shimmied our way through to the garden room and outside into the garden surrounded by hanging lights and on one side overlooking the river, an original WW2 Willy’s Jeep with the front seats turned around, with a table in the middle. That was our spot. A bunch of design graduates, wide eyed and ready to get legless. Everyone was so welcoming, Trevor walked round chatting to everyone and made you feel totally welcome. Trevor was never married, but had many lady friends. At the end of the evening, in the early hours we were the last ones there. The house was empty and wide open. We walked upstairs to Trevor’s bedroom and he had one blonde lady under one arm and another under the other; all sound asleep. We picked up the wind up radio from his bedside, took it out onto his veranda outside the bedroom, wound it up and put some music on. We sat there, finished our beer, watched the Thames go by. Underneath the veranda, way down on the water, Trevor’s 40ft speedboat glistened and swayed in the lights. When someone is so trusting, it feels right to be totally respectful. I guess everyone who met Trevor and enjoyed his hospitality would never abuse his kindness. So he was fine on that island with his doors wide open, all the lights still on, with him snoring contentedly upstairs. We put his radio back by his bed, took a last look at the very special and free spirited inventor, with his happy companions and made our way back, past the ghostly baby garden and back over the footbridge, back to the real world. RIP Trevor, thanks for being different, you had a time of it. Top image sourced from Getty Images and all other images sourced from Flickr via Messy Nessy Chick.